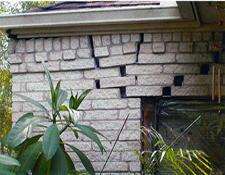 Let the professionals at All Texas Foundation Repair inspect your home. 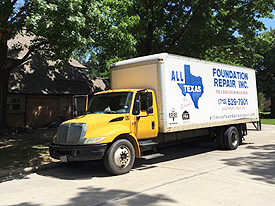 All Texas Foundation Repair has been in business for over 42 years and specializes in repairing concrete slab foundations, house leveling, pier & beam raising, and raising block houses. We offer after hours and weekend home inspections to meet your busy schedule. Quick Response! Experienced Crews! Great Customer Reviews! "Bill Marks and his crew came and completed the job within 2 days of giving me an estimate - that another company had put me off for over 6 weeks! They will give you a fair and accurate estimate and do the work in a really professional manner and in the time frame promised. Great service, great company." 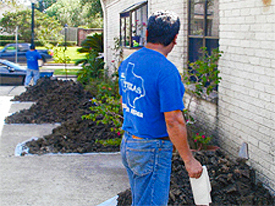 "All Texas exceeded our expectations in price, quality of work and overall professionalism of the work crew. We live in an older house and Bill Marks and his crew handled the pier repair and floor leveling. They were knowledgeable about our house and construction techniques, and didn't charge us for anything we didn't need. In fact, the price came in lower than expected. We had the work completed in January 2015, and we're still happy with the results." "I'm posting this because I was completely impressed with Bill Marks level of professionalism, knowledge and integrity. As a business owner you don't see that as often as you would like and as a consumer it's all you could hope for. I would recommend him for any house leveling or foundation issues." " I had Bill meet with me to provide a proposal for leveling my pier and beam house and after showing me his notes on my house, his comment was " I can't take your money, you don't need to level the whole house." Bill then proceeded to explain how I could fix two minor problems myself. I have to admit that was the best $95.00 consultation fee I've ever spent considering I had two other estimates that averaged $3,700.00! "